Being able to communicate effectively, is a key skill which impacts significantly on all aspects of a child’s learning. At Grinling Gibbons, we want all our children to be confident and enthusiastic speakers, readers and writers. In the EYFS and Year 1, children receive a daily session in phonics, following the synthetic phonics programme, Read Write Inc. This teaches children to hear, say, read and write the full range of sounds needed to read and write independently. All English learning is planned from the 2014 National Curriculum’s relevant programmes of study, but wherever possible, we approach our teaching in a cross-curricular way. Our key priorities are that learning is engaging, challenging and fun! We want all our children to be passionate about reading and so we make sure that all children have access to a range of exciting books and reading materials. Every classroom has a stimulating and engaging book corner, and we provide many opportunities for children to read, and be read to, throughout the school day. Children are taught the skills of decoding and comprehension depending on their age and stage of development, and we encourage them to read at home regularly with their parents. The school also provides access to additional reading resources – such as ‘Bug Club’ and Lexia – which are available online. We believe that the best writing comes from having a real sense of purpose and our children enjoy writing across a range of contexts. Before they write, we think carefully about the stimulus we will use to engage the children and to make them want to write. This could be anything from a trip or a visitor to the class; a practical activity they have carried out in class or at home; a response to a fantastic book that has been shared with the class where they are given an opportunity to write in role; a thought-provoking image or piece of art or music; a film clip; or some cross-curricular learning taught as part of their topic work. Opportunities are then planned for children to read and analyse good examples of the types of writing they will be producing, and for them to participate in activities which will get them talking and rehearsing their ideas orally. These could include: drama, ‘hot-seating’ (where children take on the role of a particular character and answer questions as if they are that person), debating and group discussions. 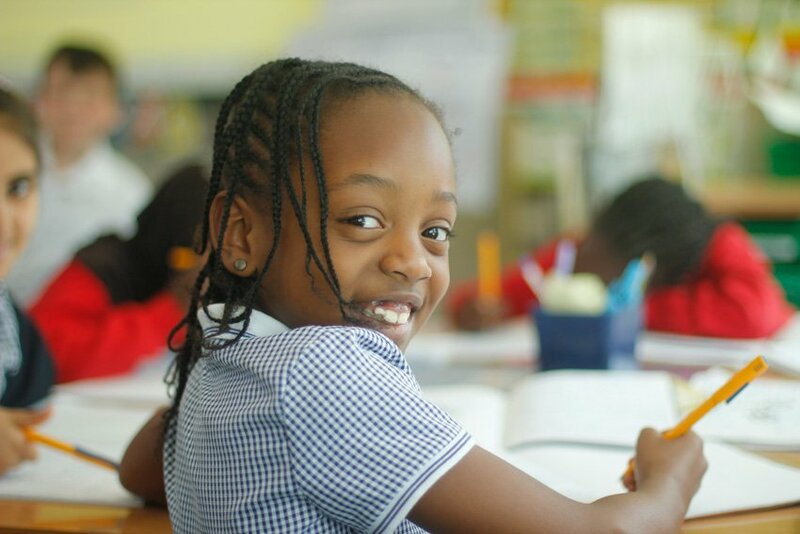 Children are then taught the key skills of planning, drafting, evaluating, editing and proof-reading, as they begin the writing process. At Grinling Gibbons, we place a strong emphasis on the importance of modelling each of these stages through quality shared writing led by the teacher. 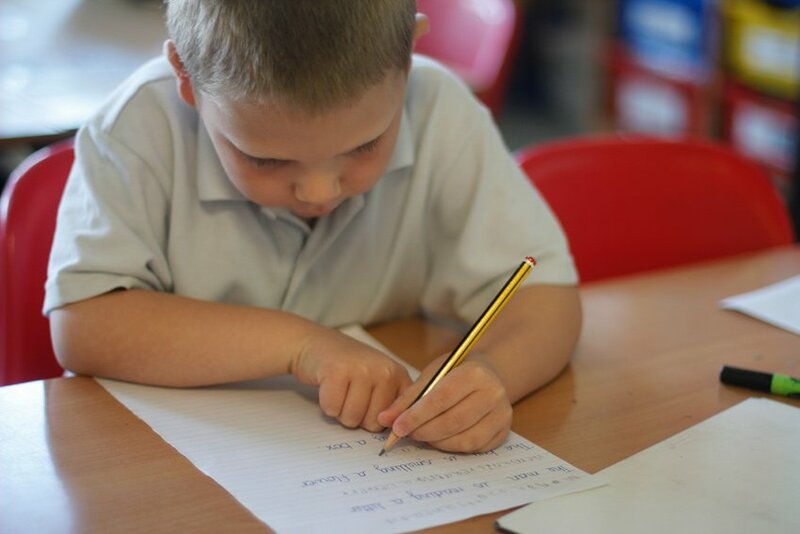 At every stage of writing, right up to producing and publishing a final outcome, children are given helpful feedback so that they understand which aspects of the writing they are doing well, and where they may need to develop more. From Year 2 onwards, children are taught the age-appropriate spelling patterns as outlined in the spelling appendix of the national curriculum. All children are given a set of words to practise spelling, and from Year 1 onwards, these are tested once a week. Wherever possible, grammar and punctuation is explored and taught within a real context: this may be done through a quality text that the children are reading, or it could be in the shared writing which all adults model as part of the teaching process. Even so, there will be times when specific skills – appropriate to the age and stage of the child – will need to be taught discretely. At Grinling Gibbons, children are taught to join their letters using the Spectrum Handwriting Programme. Children practise their handwriting regularly in order to develop confidence and fluency, and all adults model a joined handwriting script.